Bank bailed out by taxpayers says it is contractually obliged to pay bonuses from 2008 – the year the banking crisis hit. There have been no bonuses paid to senior bankers for 2009 or 2010. And there’ll be no bonuses paid to bankers until these banks start making profits and start returning money to us again. The news that AIB is to hand out the massive Christmas bonus – averaging around €16,700 to each of 2,400 ‘key’ staff – has been greeted with derision in the week that €6bn of cuts and taxes were announced in Budget 2011. The bonuses are deferred payouts which were awarded for the year 2008. Well, under the guarantee arrangement, as you know, the banks were forced to abolish the bonuses in recognition of the commitment made by the taxpayer and they couldn’t have these bonuses. And rememberm some of these generous bonuses incentivised much of the reckless lending that has led us here. We can’t go back to those mad bonuses. And exactly a year ago, on December 8, 2009, a Department of Finance spokesperson told the Examiner that Minister Lenihan would “bring in legislation, if necessary” to stop bankers receiving bonuses after it emerged that former Irish Nationwide chief executive Michael Fingleton had received a €1m bonus. The Government said it was already adopting the recommendations of the recent Covered Institutions Remuneration Oversight Committee (Ciroc) report, that no bonuses would be paid in the immediate future. However, on the Pat Kenny Show on RTE Radio yesterday, Mr Lenihan said that the €500,000 cap on banking salaries would not be reduced because otherwise banks would not be able to continue to attract people of the right “calibre” to such posts. They would not be subject to the €250,000 public service pay maximum – even though the AIB is due to be 95 per cent owned by the State under one of the bailouts. Now it has emerged that AIB executives will be paid €40m in bonuses which date back to 2008, according to the Guardian newspaper – the year that marked the height of the banking crisis. The bonuses were initially deferred to staff but after legal action was taken by a number of AIB employees, led by a trader called John Foy, it was argued that they must be paid because they had been stitched into the employees’ contracts. The Foy case was concluded last month and AIB says it now has to legally award the 2008 bonuses to staff “as per the contractual entitlements arising from the business’s performance in 2008″. The amount of bonus is in stark contrast to the value the stock exchange places on AIB. The entire bank is valued at €540m. 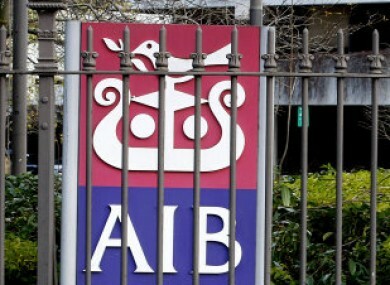 AIB has already been given €3.5bn in bailouts by the taxpayer – and it will need to raise €5.3bn more by the end of February to comply with targets set by the Central Bank. Its share price has tumbled from €23.95 to just over 50c over the past two years. Email “July 2010: Brian Lenihan calls end to "mad bonuses". Dec 2010: AIB bankers get €40m bonus.”. Feedback on “July 2010: Brian Lenihan calls end to "mad bonuses". Dec 2010: AIB bankers get €40m bonus.”.